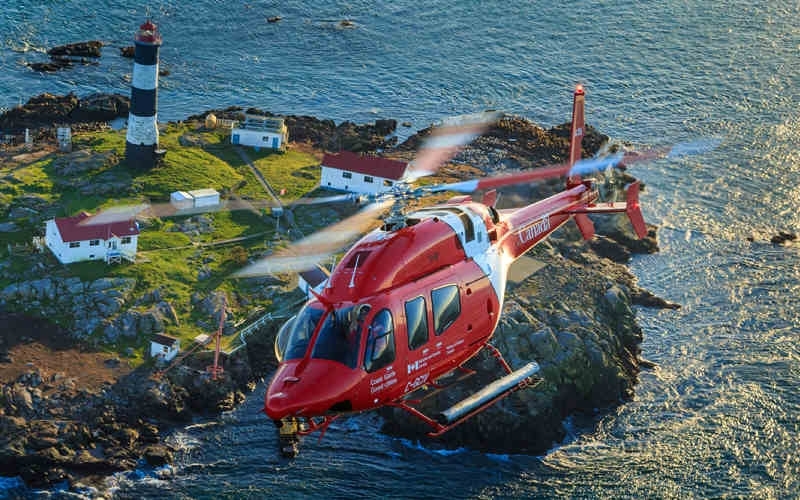 The Government of Canada is investing in infrastructure for Canadian Coast Guard operations, which includes 15-year leases of a new Integrated Services Centre and a new helicopter hangar for the Canadian Coast Guard in Saint John, New Brunswick. The project falls under the portfolio of Jonathan Wilkinson, Minister of Fisheries, Oceans and the Canadian Coast Guard. The government explains that the leasing of both these new facilities demonstrates a long-term commitment to the renewal of Canadian Coast Guard infrastructure and service delivery in the area. The announcement was made by Wayne Long, Member of Parliament for Saint John-Rothesay. “We are happy to have a renewed commitment of the Canadian Coast Guard in our community. Safety of mariners and the environment is a top priority and having these new facilities in Saint John will ensure this is a reality,” said Long. The lease for the new Coast Guard helicopter hangar is valued at $2.9 million. It contains office space (84 square metres), a hangar with a workshop area (391 square metres), and a landing apron (1,024 square metres. The new hangar will house one of 15 new Bell 429 light-lift helicopters purchased and deployed under the Coast Guard’s Fleet Renewal Plan. The helicopter fleet, explains the Coast Guard, plays an essential part in supporting programs such as icebreaking, marine communication, aids to navigation, environmental response, waterway protection, conservation and protection, science and support to other government departments as required. The lease for the new Coast Guard Integrated Services Centre is valued at just over $6 million. It includes space for offices, special purpose workshop areas, and exterior operations for storage and maintenance. Staff working at the new centre perform a variety of duties including maintenance to various types of fixed and floating aids to navigation, emergency communications system, and navigational radars. The new Integrated Services Centre provides a renewed Coast Guard presence in Saint John in the fields of communications and navigation equipment. The new facility will also provide storage space for environmental response equipment in case of marine pollution.